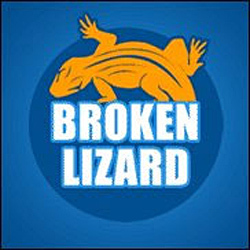 Broken Lizard is a comedy group best known for its films Super Troopers, Club Dread, and Beerfest. The five members of the group are Jay Chandrasekhar, Kevin Heffernan, Steve Lemme, Paul Soter, and Erik Stolhanske. They all jointly write and act in their films, with Chandrasekhar as director. Super Troopers exposed the world to the antics of Broken Lizard's unique brand of comedy and landed Chandrasekhar on Variety's "10 Directors to Watch" list in 2001.